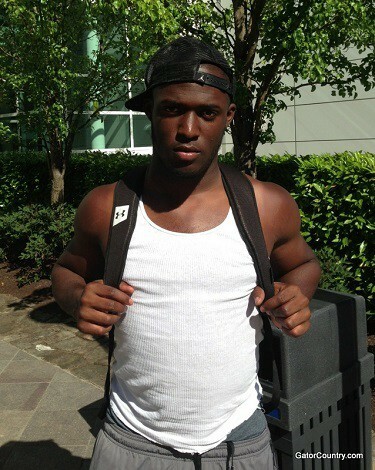 Will Fournette visit the Gators? 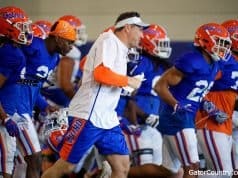 The Gators already have one running back commit for 2014 in Dalvin Cook, but the coaching staff has made it clear they want two in this year’s class. New Orleans (La.) St. Augustine running back Leonard Fournette is considered the best running back in the country and showed why at the Opening this week. While it looks like a two horse race for the 6-foot-1, 225-pound Fournette, the Gators have made sure to keep in touch with him. Fournette has actually being hanging out with current Gators commitment Dalvin Cook, who he met last week. 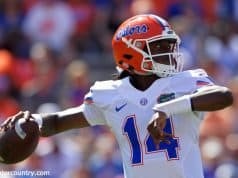 The first step for the Gators to have any chance at Fournette is to get him on campus. 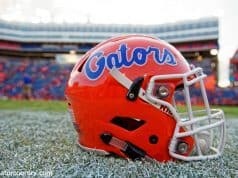 Fortunately for the Gators, that’s very possible.